Do you know if someone is lying to you? It is not too difficult to tell when a child is lying. It is a little tougher to tell when a teen is lying, and according to Bond and DePaulo in 2006 only 54% of the people know when an adult is lying. Considering you have a 50-50 chance of knowing when someone is lying 54% is not saying much. If someone you know well has a “tell” you may spot a lie. My mother could always tell when my sister was lying when we were teens as she had a little nerve that twitched on her throat, but she didn't know when I was lying. Children typically lie for three reasons. They tell lies from their imagination; they want to avoid consequences or they may want to seem cool. When we look at adults lying, there is a whole host of reasons why they may lie. They could be ashamed of some activity or of something they did. Also, they may feel the truth will hurt your feelings, or they may be protecting someone else. Consider something simple, “Yes, that dress looks great on you”, when it actually does not. 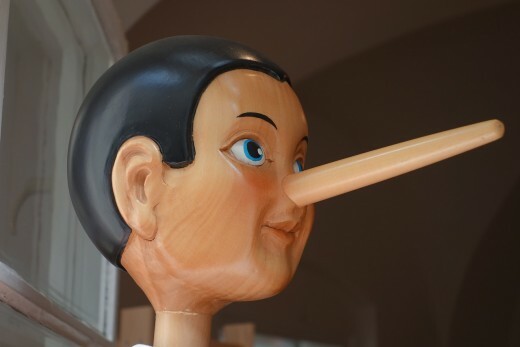 Researchers state the average person will hear about 10 to 200 lies daily. They also state that strangers lie at least three times in the first ten minutes of meeting someone. So, how can you tell when someone is lying? There are several things you may pay attention to in order to determine if someone is lying. Inconsistency is sure a clue. If the story changes, that is definitely worth a second look..
Pay attention to fake smiles, blushing, blinking, shrugging or flared nostrils. If they won’t look you in the eye that may denote shame or deceitfulness. Repeating the question may mean they are stalling for time, or maybe they did not hear you the first time. You may be suspicious if a person does not want to answer your question or if they quickly change the topic of conversation. Watch for incongruity, which means terrible news, but the person has a joking attitude. They may also supposedly have good news, but they are overly enthusiastic. If someone has to emphasize that they are telling the truth, they may well be lying. They may use terminology like, "In all candor" or "If I'm being completely truthful" or "If I had to swear on a stack of Bibles." If someone insists on bolstering their speech to distract you, they may use words like literally, tremendous or absolutely more often than you would expect. People may say no while closing their eyes, or stretching out the no (like nooooo), or they may hesitate or say no in a singsong manner. Ask them to say no to an open ended question to compare. If someone cannot recall what they told you previously, or if they add new details contradicting what they previously told you, you should be suspicious. You might ask them to tell the story backwards as it is hard to recall details. If someone holds you in contempt, which is a combination of moral superiority and anger, then you will recognize those signs and at least wonder if this person is being truthful. 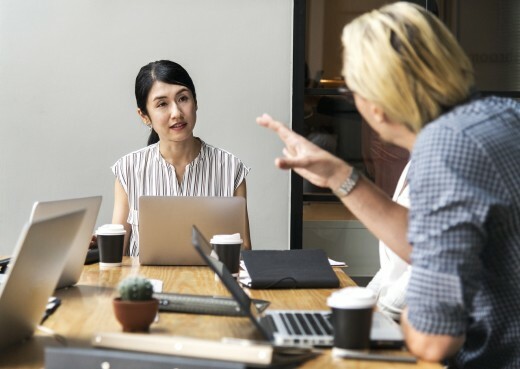 If a person is lying they may tend to squirm, fidget or just more around, but according to psychologists body language is not a particularly good way to determine if someone is not telling the truth. The American Journal of Forensic Psychiatry studied body language for law enforcement, and they concluded body language is not necessarily the best way to determine truthfulness. There is one theory that states when a person is retelling a story several times they will remember additional details, which means the information will change. This can make it more confusing to figure out the truth of the story. As previously stated,telling the story backwards makes it harder to keep the details straight, because if they are lying they have to tell the story in a different way. This can be difficult for someone who is lying since lying is more mentally taxing. It may be good to simply trust your instinct as that is often the best way to determine a lie, particularly with someone you know well. After all college students lie 20% of the time to their mothers. If a mother has figured out how to tell if their child is lying, then it is probably instinct based on past experience. Of course, there are many people who think they can spot a lie every time, but there are also people who think they are very good at lying without consequences. It is always possible to get a false positive and think you know for sure they are lying when in fact they are not. The bottom line is to listen carefully, observe the person and ask those hard questions. There is no way to always detect a lie, but maybe some of these tips may help make you a better judge. Do not overthink the situation. I would suggest you always treat the person with respect, and you probably will get more truthful answers. How good are you at detecting lies? Are you are able to detect a lie most of the time? Do you think you can detect a lie just part of the time? Do you feel clueless about someone lying to you? Hi Paula, I agree that telling the truth is less trouble. It sounds llike you can spot lies quite well. thanks for all your input. Much appreciated. Pam....This article is positively great! I absorbed every word and enjoyed the video as well. You did a fine job of researching and I appreciate this. The combination of my personal experiences, as well as professionally (to include years of study) I've accrued quite the arsenal for spotting liars and their continual lies. For a very long time, I had a serious problem with trying to handle my severe disappointment with individuals for having such a need to lie. It has always been my sincere belief that the truth is so much easier and less complicated. Cleaning up after a series of lies should really convince people that lying is a losing & often disastrous habit. The only thing I might add here is that it's so vital to pay close attention to not only the words someone speaks, but their tone of voice, use of unnecessary adjectives and other terms thrown around haphazardly. I feel at this point in my life, I've gained the status of expert, when it comes to busting a liar. It's also helpful to know how long to allow a liar to continue to spew their lies before we break the news to them that we're totally aware they are, in fact, lying. Often, the old adage is very true that we can and should "allow a liar enough rope to hang themselves!" In this way, our facts are irrefutable. Yves, I think I was a bit like you as I was fairly naive when I was young, and I developed some insight as I got older. I have to say I didn't always read men well when I was younger, but I have a great husband for the past 23 years. I am also an optimist most of the time also. I am glad you enjoyed the article. I used to take nearly everyone at face value. It took me a long time to realize that lots of people can be deceptive. Nevertheless, I am basically an optimist and will likely stay that way. I'm just a little more wary now. Consequently, your article is a good one for someone like me. That being said, I am better at reading men, more so than women. A very useful article you've written here! Tim, I always love your positive comments. I have found it difficult to tell if some people are lying when they do it so well. Many, however, have a tell of sorts, and I get a gut instinct I think as I just have such a strong feeling about them Thanks so much for your comments. I loved this article. Excellent tips for helping people trying to determine if someone is lying. Having to deal with individuals addicted to various substances, after a while, I learned to pick up on many of the cues you suggested here. Yes, but the practiced liar can be difficult for anybody to detect. For example, people who may work in sales and have to tell the "polite" lie daily can be challenging to detect. Nevertheless, your article is full of sound guidance. A very interesting piece by a talented, informative, and prolific writer. Eric, Thanks so much for your comments. I am glad you approved of this article. I know I will enjoy following you also. So glad you left me a note following me. What great hubs you have. I had a great friend named Brian Ogelsby growing up. That is a fine memory. I had a job once that had me not just knowing a lie but showing 13 others the lie. I just loved it. This article is spot on for any negotiator from mom to cop. Hi Marie, I agree with you view on honesty. Thanks for your comments. "I'm not upset that you lied to me, I'm upset that from now on I can't believe you.” ― Friedrich Nietzsche This quote resonates with me, Pamela. Well researched and detailed post ... honesty and credibility earn my respect every time. I have been told that I am quite naive and believe everything by my sister who is a self-professed cynic. That said, I have discovered that people, young and old, lie about everything. Sometimes for no apparent reason. The children I have encountered lie like rugs about things that do not need a lie. I actually think that lying has become worse because I do not remember telling or hearing such lies when I was a child. I find myself second guessing everyone about everything they say and I value honesty a lot more. Lies have truly become despicable to me. Hi Shauna, Knowing when your son is lying is sure handy for a mom. Thanks for sharing your experience. Pamela, I can tell when my son's lying to me because his eyes look directly to the right while his face is facing me and he's responding to a question or comment. Sure fire sign! Hi Gerry, I imagine you had the training to try and read people, but I think some people are excellent liars also. Appreciate your comments. I loved this article Pamela, and I certainly agree with all the information you provided. We were taught a lot of it when we were in the police academy, so we could watch for the signs when interviewing or interrogating people. There are some people that are excellent liers, who are hard to read. Hi Frank, I really like the --fool me once attitude. I appreciate your clever comments. Hi Peg, I watch a lot of cime TV also, and you are right. Thanks for your comments. Hi Linda, I appreciate your comments. Hi Audry, I tend to believe people also. Thanks for your comments. Thanks for this valuable insight into detecting the truthfulness of people. Watching a lot of crime TV, I often see suspects in the interrogation room start their denials with the words, "I ain't lying to you," which generally means they are lying. Also suspect is when someone says, "To be honest. . ." That signals (at least to me) that they haven't been honest up to that point. This is an interesting article, Pamela. Your suggestions sound very useful for those times when it's important for us to know whether someone is lying. Great information to help tell if someone is lying. I always tend to believe people. It's too bad we have to be on the alert. Thanks, Pamela. Hi Peggy, I really like the quotes also. I think that is a good ides for human resorces, and I know police get this training. It is still diffiult to tell if some people are lying. Thanks for the comments. I would think that human resources people would greatly benefit from knowing this in order to hire the right candidate for a job. This is important for many people to know. I like all the quotes especially the one from Mark Twain.